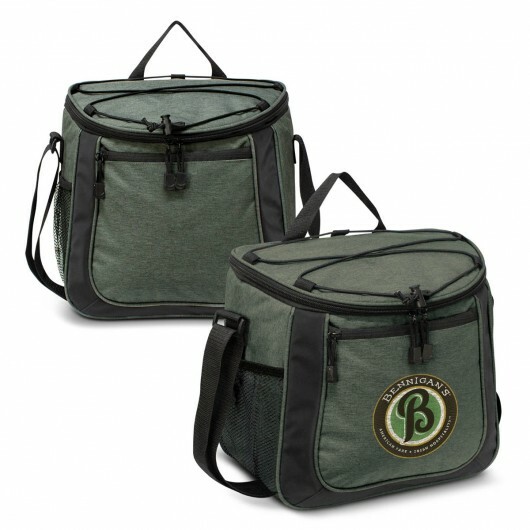 Get your logo seen and remembered with these on-trend cooler bags. 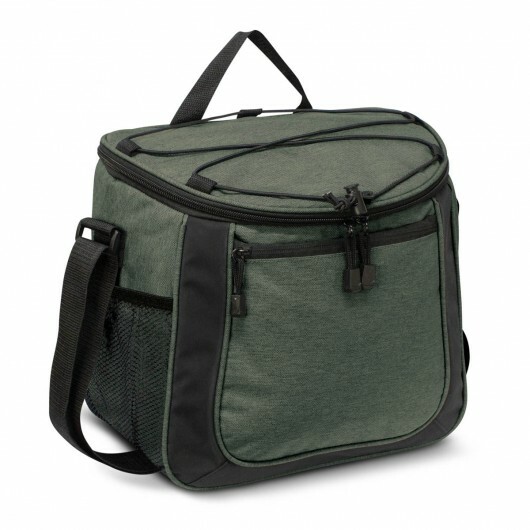 Sporting an attractive design with a tonne of features these cooler bags excel. Inside is a thick PE foam insulation encased in a waterproof PEVA inner liner. The outer construction is a premium heather style poly-canvas with a large zippered front pocket and two mesh side pockets. Other features include a zippered top closure, smart zipper pulls, a woven carry handle and an elastic lacing on top for holding a sweater or light jacket.